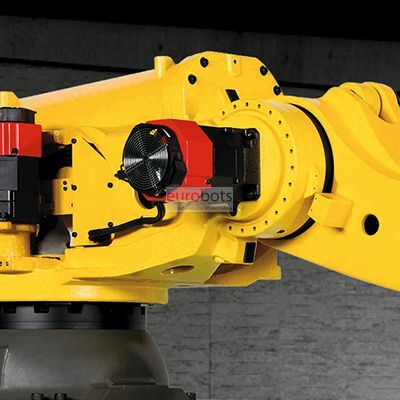 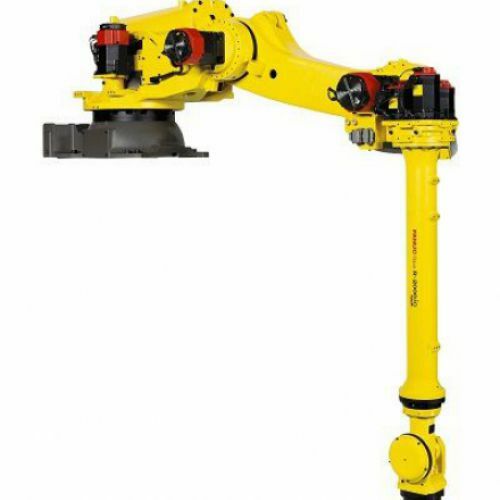 R-2000iC / 100P industrial robot mounted on a pedestal, ideal for press-to-press transfer applications in the automotive industries. 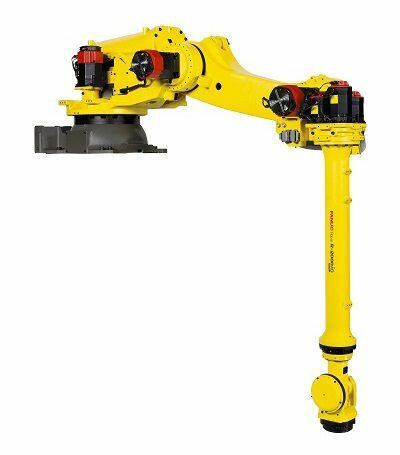 Rack mounting configuration that allows matrix change, maintenance of the press and optimal programming of the robot's path. Maximum cooling capacity of the motor fan J1 / J2 / J3 to comply with the continuous duty cycles; providing speed and versatility, minimizing cycle times and ensuring maximum productivity.